Four Winds Casino South Bend celebrated its grand opening on January 16, 2016. It is the largest casino in Indiana. 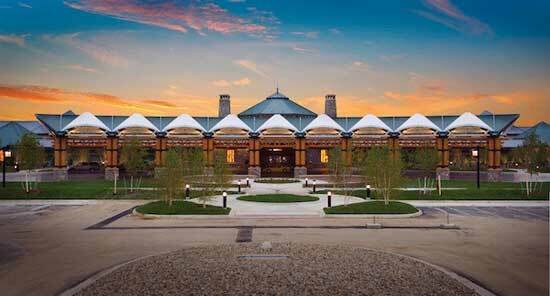 The Pokagon Band of Potawatomi Indians has spent $400 million to build this casino in South Bend, IN. 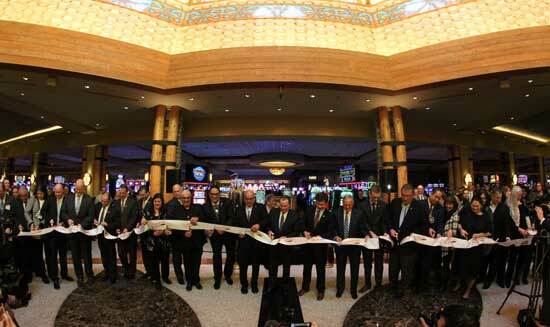 It is the fourth casino operated by the tribe and the first one located outside of southwest Michigan. The key milestone to proceed with this casino project came in November 2016 when the Bureau Of Indian Affairs gave its approval. Their decision transfered 166 acres of Pokagon Band land into federal trust under the U.S. Interior Department and included federal approval to build build a Class II gaming casino. The casino is built on 166 acres located between Prairie Avenue, U.S. 31 and Locust Road in South Bend, Indiana. 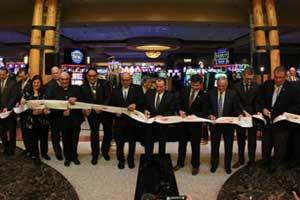 The Four Winds South Bend Casino has opened the new live poker room. The room had a soft opening during Labor Day weekend. There are 10 poker tables that offer live gaming. Video poker was already offered at the casino. Guests had requested a live poker room be added to the casino. The announcement that the casino would develop the poker room was made two months ago. There are no plans at this time to add blackjack or other table games. This is due to the gaming license that was granted to the casino. It is a Class II casino. Therefore, games where visitor bet against the house are not allowed. The Four Winds South Bend Casino is owned by the Pokagon Band of Potawatomi. On Tuesday plans were announced for the addition of a new gaming room that will offer live poker. The casino currently offers bingo type electronic gaming machines. The room will offer 10 tables. It will be located in the casino's northwest corner at the current slot machine location. 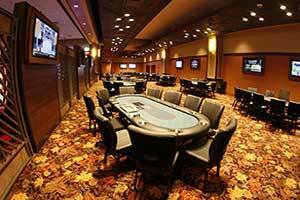 Up to nine players can be accommodated at each poker table. Construction is scheduled to begin next week. It is estimated that by Labor Day the new room will be completed. Games to be offered are $1 to $3 pot Limit Omaha, $1 to $2 No-Limit Texas Hold 'em, $3 to $6 Limit Hold 'em, and $2 to $5 No Limit Hold 'em. No other plans for additional live dealer games have been announced. Under the Indian Gaming Regulatory Act, the Four Winds South Bend is classified as a Class II gaming facility. This means that special permission would need to be given before the casino could offer games like baccarat or blackjack where players bet against the house. 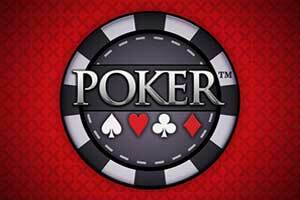 Poker is considered a different type of game since players are playing against other players. The Four Winds South Bend currently offers 1,800 games. Bets range from a penny to $25. There are also five dining options. Three bars. The Four Winds Outfitters offers gift shopping. The reason behind the addition of the new room is to offer a different amenity to their guests. Visitors have been requesting the addition of poker. Pokagon Band of Potawatomi Indians own the Four Winds South Bend. Five years ago plans were announced for the Four Winds South Bend Casino. Now the casino finally opened on January 16. Located south of Prairie Avenue, the site is 166 acres. It is 175,000 square feet. The casino floor makes up 55,000 square feet. There is also four restaurants and three bars. This is the first Native American owned casino in Indiana. The design features a Native American inspired basket weave design. There is a large atrium and fireplace located near the entrance. The casino operates 1,800 gaming machines. There is a non smoking area for slot machine gaming. There is also a gaming area that allows smoking that is divided with a glass door. Two percent of the casinos net winnings will be paid to South Bend. The city has been guaranteed a minimum of $1 million in payments a year. Of that money the city's common council will receive 1 percent. The redevelopment commission for the city will receive the rest. Community projects and organizations will receive $5 million over 3 years. Possible future plans include a 500 room hotel that will be 18 stories. There could also be a nightclub and center for events. Over 300 construction jobs and 1,200 casino jobs have been created by the project.